Live video streaming service has revolutionized how business has communicated to their customers, business partners and the general public. Instead of spending money on traditional marketing campaigns like billboard advertisement, radio or TV commercials, Companies has seen the potential of using live streaming service to engage and maintain an open relationship with their audience. This includes using the video content that is live stream and broadcast in real time to mass audience and create a positive presence by linking the content to the social media platforms like FaceBook or Twitter and promote the event. One of the main reasons why video live streaming is so popular for business as it provides an opportunity to promote their brand that is based in real time within any geographic restriction. As the viewers only required a computer, tablet or mobile device with internet services to upload and view the live event. Doing live video streaming also allow companies who host the event to collect useful data and real-time report to understand how well the product/service is perceived by the audience or how interesting is the event. A successful business or marketing event that is well co-ordinated will encourage better engagement and interaction with their online audience and even develop new business relationships for their new clients and other business professionals. Hosting a Live Streaming event for business certainly has a lot of benefits to promote the company’s brand to the masses and engaging the audience in real time. But there are still some downsides for live streaming to understand before company invest time and money to plan and use their business event for live streaming. To have a better understanding, let’s look at the Pro’s and Con’s using Business Live Video streaming services as shown below. 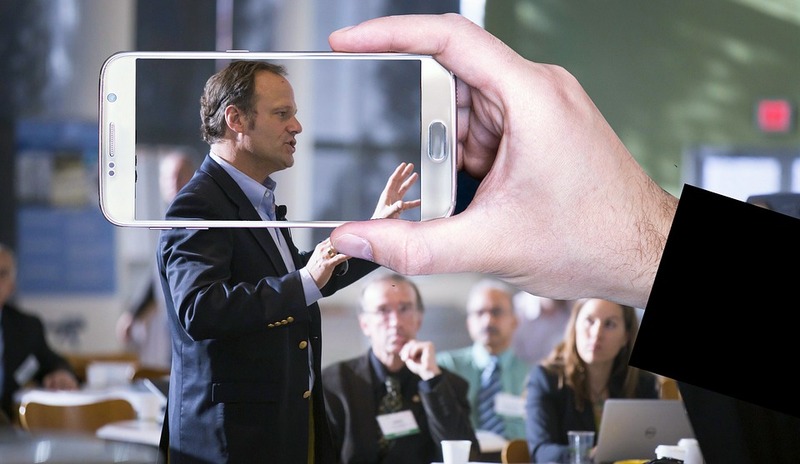 As mentioned earlier, live video streaming for a business event can easily engage with the intended audience as it displays the interest and the passion which the presenter is showcasing the product or topic discussion. This, in turn, generates more interesting vibes to people who have seen and enjoy the video content will in return use social media to share the content to more people. Since the event is broadcast online, it is not necessary to travel personally to the event venue to enjoy the show. Compared to video content that is pre-recorded, live video streaming offers an opportunity to interact with the audience in real time. Which is usually more attractive to people as these live events have a time limit to watch and listen to experts discussing certain topics of interest. Not to mention the fact the most people will easily forget about the video if its embedded instead of live video content. This is bad for business who want to host marketing events to promote their products or services to potential customers if there’s no sense of urgency for people to tune in and watch the sales presentation online. More ever video that is broadcast in real time cannot be paused or watch it again. Thus, it keeps the audience to be totally engaged to view and listen to the event’s topic which usually last for more than thirty minutes or more. Which in turn will make them interested in other future live video streaming events which the company can promote social media or the company’s website. With the improvement of technology in digital communication, Live Video streaming has provided business with more options and platforms to choose from. They also use popular social media platforms like YouTube that has features to host video in a live streaming mode as part of the social media marketing campaign. Depends on the requirement, most companies will hire professional video companies to assist them to live stream their business events as these studios have the manpower, equipment and experience host and live stream the event on the internet to reach the target audience. While there are many advantages to live stream business events for sales and marketing, it is not easy to host and ensure the event is stream smoothly without any technical disruption. Issues like poor internet connection, poor resolutions, network congestion, and other IT issues can easily discourage the viewers to continue watching the live streaming event. Since streaming requires a lot of bandwidth and sophisticated hardware and software programming plus high power internet connection. Companies will need to rely on professionals who have working experience in live streaming to produce high definition video content and ensure that there is no network disruption during the event which in turn will cost companies more money to host such events. Although live streaming services give people an option to watch the video content online without traveling to the actual venue for the event. The main issue is the timing to broadcast the event especially if the invited participant is based in overseas with a different time zone. To overcome this issue, some companies will repeat the live show event several times a day to accommodate as many people as possible. The downside of this method is that it will cost the company more money and resources, the same will applies if the hosting company wants to live stream the event in multiple days and different timing. There is another disadvantage in live streaming as sometimes people may not able to download the contently directly using their computer or other mobile devices even if the event host offers the option to do so. It could be the video file not compatible or firewall issues that prevent the user to download the video file. By offering options to download the event’s video can give the company certain risk in content security breached such as piracy or illegal file sharing and could even jeopardize any future live video streaming on a similar topic, damaging the company’s reputation in the long run. In summary, there are more advantages than disadvantages in using Live video streaming for business events as video marketing is considered one of the best ways to promote products, leads generation and boost branding for the company that hosts the live streaming event.